Padre and Mrs. Frances Laverty were loving parents, grandparents and pillars in the community. Padre Laverty was a Chaplain with the RCA and RCCS of the 3rd Canadian Infantry Division in France, Holland and Germany during World War II. He became the beloved Chaplain of Queen’s University in 1947 and held his post for 36 years, affectionately known to the students as “the Padre”. Growing up in Toronto, Mrs. Laverty was a graduate of Bishop Strachan School and Victoria College, University of Toronto, the first of four generations of women university graduates in her family, the last a Rhodes scholar. Mrs. Laverty was always happy to host countless gatherings at their home for students to enjoy tea and conversation; she was known for her warm and welcoming nature. 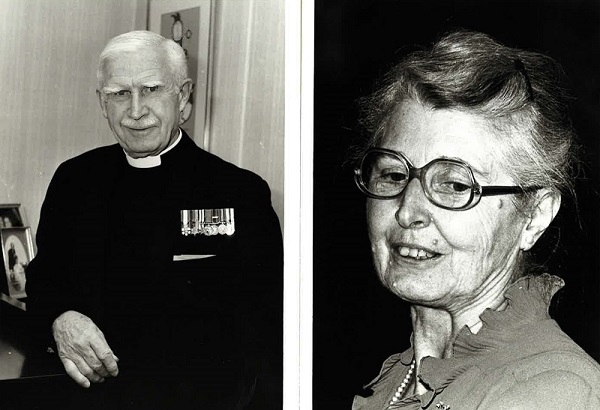 In 2003 Queen’s friends established ‘the Padre & Mrs Frances Laverty Bursary’ in recognition of the Laverty’s dedication and contributions to Queen's. The bursary is awarded on the basis of need to third or fourth year students in any faculty or school. With preference to students involved in campus life or extracurricular activities. A gift to their bursary would be greatly appreciated by the family to commemorate the legacy of Padre and Mrs Frances Laverty.